It’s an exciting time for smartphone fanatics. The major flagship phones continue to dominate, like the Samsung Galaxy phones and Apple iPhones, but there are a ton of great options across a wide array of price points these days. Personally, I’ve been using iPhones for five years now, but I’m ready to move on. My iPhones have served me well, despite a few dramatic screen cracks and the occasional water damage incident. And I won’t pretend I’m not impressed by the iPhone X’s edge-to-edge screen, because I am – but not enough to shell out more than a thousand dollars for it. 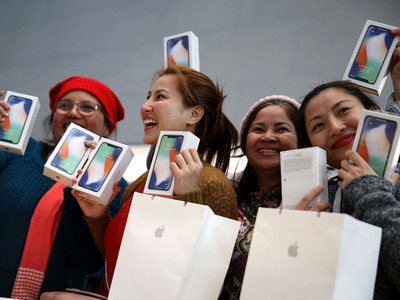 And so, as I do my research and shop around for my next smartphone, I can’t help but prematurely miss a few of the iPhone’s most helpful features, which I believe are yet to be paralleled by anything the other major companies are doing. iMessage was the major reason I dove headfirst into the Apple ecosystem in the first place, and is definitely the aspect I’m going to miss the most. Before I jumped on the iPhone bandwagon back in 2013, I had always admired the sleekness and simplicity of iMessage on my friends’ devices. At the time, the default text-messaging app on my Samsung Galaxy S4 Mini was neither sleek nor simple. I changed all the colours in the phone’s customisation settings, and even spent weeks trying alternative messaging apps, but never really found a truly great messaging app. For some people, the look and feel of a phone’s SMS platform may not be a deal breaker, but for me – a millennial who has more than once sent hundreds of texts in a single day – iMessage was a godsend. Later, when I got a MacBook Pro in college, the convenience of sending texts from my computer was borderline life-changing. iMessage is especially difficult to compete with after the iOS 10 update, which brought iPhone users a keyboard-sized drawing pad, bigger emojis, gifs, and a whole bunch of other features that I’m still learning how to use to this day. I will look for iMessage in every non-Apple device I buy, that is, until Google or someone else makes a messaging app works as well and looks as beautiful. FaceTime, I hardly knew ye. Of course, there is no shortage of video calling and chatting apps. While Skype, Google Hangouts and the others struggle to recreate their platforms for mobile, FaceTime was born on and for the iPhone, and it makes a huge difference. The FaceTime app was introduced with the iPhone 4 in 2010, and hasn’t changed much since. In fact, its simplicity is essential to FaceTime’s appeal. 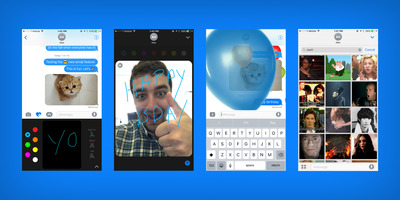 Far too often, apps with video-calling features – like Facebook and Kik – add layers of complexity that might be pretty impressive when you first discover them, but are easily forgotten about. 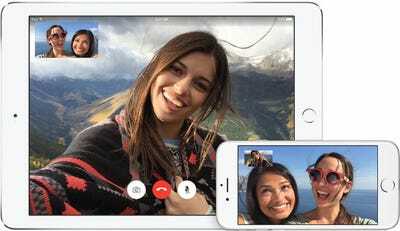 The reliability and simplicity of the FaceTime app has always made it the least painful means of video chatting on a mobile device, and I am not expecting to find an adequate replacement any time soon. AirDrop will always have a special place in my heart. 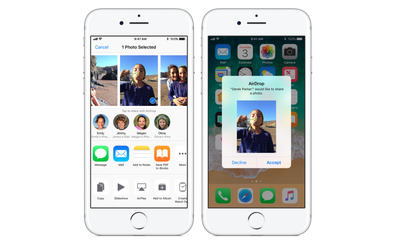 As a person who, at various points in the last five years, has held paid accounts with Google Drive, Dropbox, and Box, all while also paying for additional iCloud storage, I personally rely on AirDrop to move photos, videos and whatever else between my phone and computer all the time. With AirDrop, there is no limit to the size or number of files that a user can transfer across devices, and no need for extra cloud storage, which makes it one of the easiest ways to send whatever is taking up storage on my iPhone safely and quickly onto my other devices. The only drawback being, of course, that the devices need to be close by with Bluetooth turned on, unlike the storage and sharing alternatives mentioned above. I have to be honest with myself: I’m going to miss the whole Apple ecosystem. 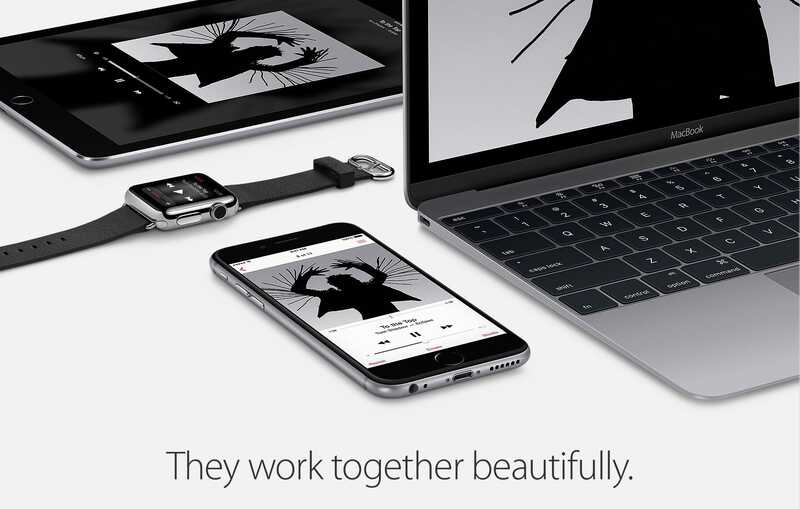 It’s no coincidence that all of these features are uniquely designed to bolster the Apple ecosystem and inadvertently discourage the mixing and matching of different tech brands. Apple’s complete collection of gadgets is undoubtedly impressive, especially when considering the complementary ways they all work together. Leaving behind Apple’s trademark cohesion that makes all of their devices work in tandem is going to be the biggest adjustment for me as I move on in my smartphone journey. Google, Samsung and Microsoft have all had valiant efforts to build out their own selections of personal devices that come with brand-specific features, but all are undeniably playing catch-up to Apple’s empire. And as smart devices become more incorporated into our homes and workplaces via gadgets like smart speakers, TVs, and even doorbells, that congruence is going be a huge deciding factor for consumers in the years to come.